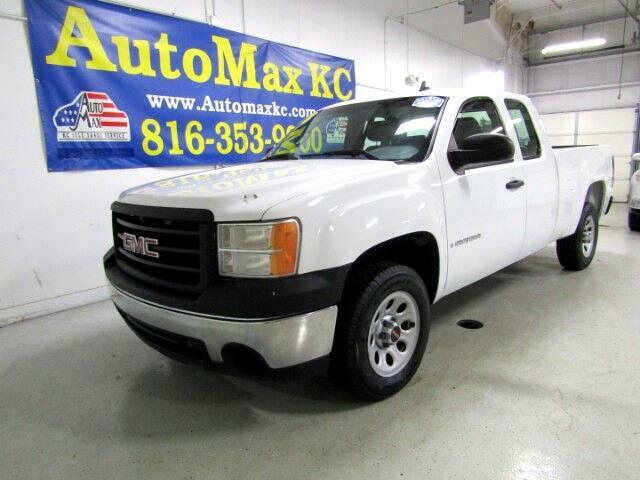 2008 GMC Sierra 1500 Vortec 4.8L V8 SFI Work Truck Summit White CARFAX One-Owner. Leather, Bluetooth/Hands-Free, Tow Package, Keyless Entry, USB Port, iPod Jack, Sierra 1500 Work Truck, Extended Cab, 4-Speed Automatic with Overdrive, RWD, Summit White, Light Titanium/Ebony Accents w/Ultrasoft Leather-Appointed Seat Trim. CUSTOMER SERVICE IS OUR PRIORITY! We offer competitive interest rates . ALL types of credit welcome. We offer the CARFAX BUY BACK GUARANTEE. So buy with confidence @ AutoMax KC. Open Mon-THU, 09:00 am to 7:00 PM, FRI-SAT 09:00 am to 6:00 pm, Welcome after hours by appointment. Call for details or visit our website @ www.automaxkc.com.